He rescued his daughter from human traffickers in Taken, took on a wolf with broken bottles taped to his knuckles in The Grey and now Liam Neeson is off to play an air marshal responsible for rescuing an airplane full of innocent people from an anonymous terrorist threatening to kill a passenger every 20 minutes. Is it the woman (Julianne Moore) next to him who makes a stink about having the window seat? Is it the other air marshal (Anson Mount) aboard? What about the hothead (Corey Stoll) in coach? Or perhaps have his own demons just caught up to him and warped his perspective? With the answer coming our way when Non-Stop hits theaters this weekend, Neeson and Moore took the time to sit down with the New York press contingent to discuss personal in-flight memories, close quarter fight techniques, what to expect if you decide to approach Neeson in an airport with a Star Wars photo to sign, and more. 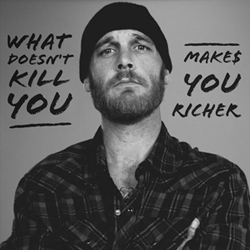 Having grown up watching Empire Records and Can’t Hardly Wait on repeat, Ethan Embry is nearly unrecognizable as Vince in the Drafthouse Films release Cheap Thrills. Whereas Mark and Preston are both lovable dorks, Vince is a badass through and through. The film features Pat Healy as Craig, a loving father and husband desperate to earn a living for his family. Trouble is, he faces eviction and loses his job in one fell swoop. While drowning his sorrows at a bar, he bumps into his old high school buddy, Vince (Embry), and the pair is invited to join a wealthy couple (David Koechner and Sara Paxton) for drinks. 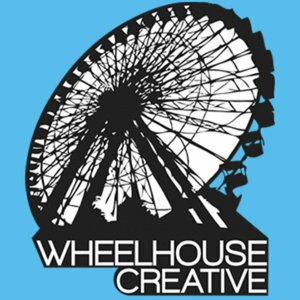 Soon thereafter, Craig and Vince find themselves partaking in one reckless dare after the next, amusing the couple by proving how far they’re willing to go for money. Click here to read more on Movies.com. Click here to read more on Fandango. This time next month, hopefully Best and Worst Movie Trailers of the Week will be filled with turtle power. Producer Galen Walker just revealed that the very first teaser trailer for Jonathan Liebesman’s Ninja Turtles will hit theaters ahead of Captain America: The Winter Solider on April 4. We’ve still got at least a full month until the piece pops up online, but fortunately there are three excellent trailers currently making the rounds that you can catch right now. 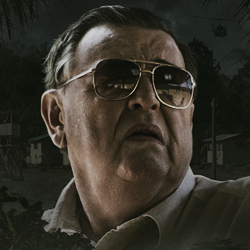 I was a bit disappointed when the first trailer for Ti West’s The Sacrament hit just minutes after submitting this column last week, but fortunately a green-band version has arrived and even though it’s missing a few gory details, it’s just as effective, which is a very good sign for the full feature. Clearly blood will flow but, as it should, a compelling narrative comes first. With Best and Worst Movie Trailers of the Week approaching its third anniversary, it’s about time we sit down with some of the folks responsible for churning out those promos to get a clearer sense of exactly what it takes to deliver an effective movie trailer. It would seem logical for editors to get a final cut of a film and then sell the thing using only the best parts, but there’s so much more to it than that. Sometimes you’re stuck working with unfinished cuts, you’ve got to incorporate client recommendations, squeeze in critic quotes, work around incomplete visual effects — the list of variables goes on and on. 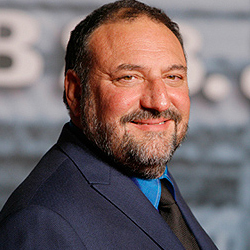 With films like Die Hard, Lethal Weapon, Predator, The Matrix and many, many more to his name, if anyone can produce an action film that takes place in the confines of an airplane, it’s Joel Silver. His latest producorial endeavor is Jaume Collet-Serra’s Non-Stop. 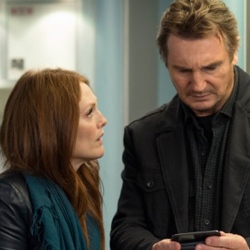 It features Liam Neeson as Bill Marks, an air marshal who receives anonymous text messages during a transatlantic flight, demanding that he either fork over $150 million or lose a passenger every 20 minutes. With Non-Stop due for a February 28th release, Collider got the chance to talk to Silver about the challenges of the production. Even after losing a truck full of cameras to Hurricane Sandy, they still managed to pull everything together, building an entire airplane outfitted with ceilings perfect for Neeson’s height and tracks that adhered to Collet-Serra’s shot selection, and selecting roughly 200 extras to portray the other passengers for the entirety of the shoot. Check out the details of what Silver had to say about all of that, the rights payment he believes he’s owed for the use of the airline Oceanic in Lost, his horror thriller Home Invasion, the status of his Escape from New York remake and more after the jump. As someone with a severe fear of the dentist, I’d take a pass on absolutely anything that would have me in a dentist’s office for a stretch of time. (Or for five minutes for that matter.) Jaume Collet-Serra, however, opts for the exact opposite approach. Rather than assuage his fear of flying by avoiding airplanes altogether, he signs up for a gig that has him working in one for months. Collet-Serra reunites with his Unknown star Liam Neeson for Non-Stop, a movie that hones in on an air marshal aboard a transatlantic flight to London. Once airborne, the marshal starts receiving text messages from an unknown source, threatening to kill a passenger every 20 minutes unless he’s given $150 million. 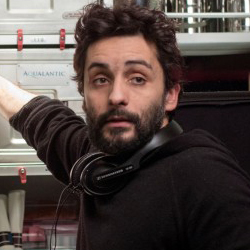 With Non-Stop­ making its way into theaters on Friday, February 28th, Collider got the opportunity to talk to Collet-Serra about channeling his fear into his characters, designing his airplane set to match his shot selection and the enjoyment he gets from breaking cameras. Hit the jump to catch all the details on Non-Stop as well as Run All Night, Here There Be Monsters, Akira and more. There was once talk of Frankie & Alice being Halle Berry’s ticket to another Academy Award nomination, but when that opportunity came and went, so did the film. It was locked for a February 2011 release, but that never happened, and it never made its way to DVD either. However, three years later, Codeblack is giving it another shot, awarding it an April 2014 release and a new trailer to go along with it. It’s clear that Berry gave this one her all, but as presented in this promo, it also seems as though a number of other clumsy elements could drag her down just as they dragged this trailer too far down to claim a Best Stuff spot. 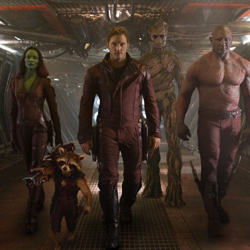 The Guardians of the Galaxy trailer has finally arrived and it was well worth the wait. After all this talk, it was bound to be a thrill to see Star-Lord and co. in action for the very first time no matter what, but director James Gunn went above and beyond with this one, delivering a promo in which every single frame is loaded with depth, detail and striking colors.